style for which she later became so widely celebrated. 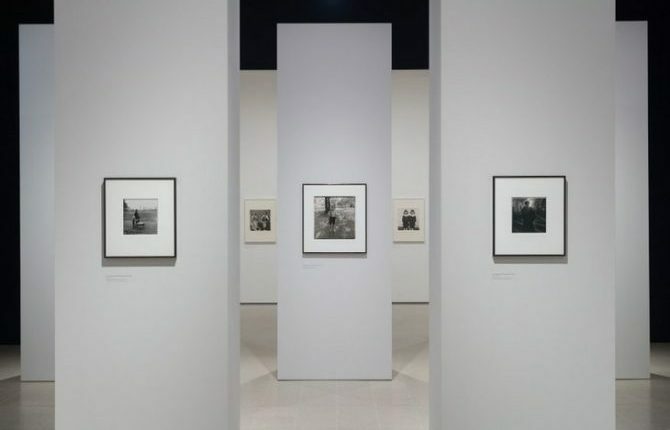 Presented across the upper floor of the Hayward Gallery, this solo show includes some fifty photographs which have never been shown in Europe, all vintage prints from the Diane Arbus Archive at The Metropolitan Museum of Art, New York. diane arbus: in the beginning features arresting portraits of individuals across the spectrum of American society. Arbus discovered the majority of her subjects in New York City, from Fifth Avenue to the Lower East Side, from Times Square to Coney Island. Creating some of the most compelling photographs in the history of post-war photography, she depicted a cross-section of urban life, including portraits of couples and children, solitary city dwellers, carnival performers, strippers, and transvestites. The exhibition traces Arbus’ growth from her early work with a 35mm camera to the distinctive square format she began using in 1962. The exhibition chronicles an extraordinarily prolific period in the artist’s career. 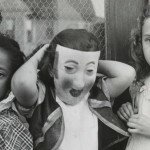 Nearly half the photographs that Arbus printed during her lifetime were produced during these years, yet much of this early work remains little known. diane arbus: in the beginning brings to light many haunting, yet lesser-known, works such as Boy stepping off the curb, N.Y.C. 1957–58; The Backwards Man in his hotel room, N.Y.C. 1961; and Jack Dracula at a bar, New London, Conn. 1961. Along with a prescient series of images featuring movies projected on theatre screens, these rarely seen pictures illuminate the profound and continuing impact of Arbus’ photographs on contemporary art. 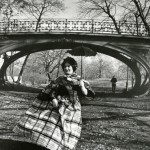 Arbus first began making photographs in the early 1940s when she received a camera as a gift from her husband, Allan. Whilst working as a stylist in their fashion photography business for 15 years Arbus created her own pictures only intermittently, but in 1956 she numbered a roll of 35mm film #1, as if to symbolise the definitive beginning of her career as an artist. Over the course of the next seven years Arbus’ photographic style evolved as she documented individuals and interacted closely with her chosen subjects. Whereas many other photographers working at the time, such as Walker Evans, Garry Winogrand and Lee Friedlander, would often play the role of passive observer or even conceal their cameras, Arbus’ images are fuelled by the intensity of direct personal encounters with her subjects. diane arbus: in the beginning is organised by The Metropolitan Museum of Art, New York and curated by Jeff L. Rosenheim, curator in Charge of the Department of Photographs. The special exhibition design was devised for the first presentation at The Met Breuer in 2016 and has been adapted for Hayward Gallery. 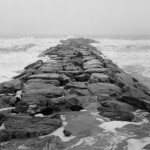 Each photograph is presented on an individual free-standing wall and visitors are encouraged to navigate their own individual routes through the exhibition, experiencing one-on-one encounters with these intimate works. 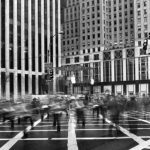 This innovative approach provides a glimpse into the way Arbus navigated the world in which she photographed. In 1962, Arbus began to work with a 2 ¼-inch square-format Rolleiflex camera, producing such iconic photographs as Child with a toy hand grenade in Central Park, N.Y.C. 1962. The installation concludes with a separate gallery presenting A box of ten photographs, the portfolio Arbus produced in 1970 and 1971 comprising legendary portraits in square format that include Identical twins, Roselle, N.J. 1967 and A Jewish giant at home with his parents in the Bronx, N.Y. 1970. Other than A box of ten photographs, printed posthumously by Neil Selkirk, all of the photographs included in diane arbus: in the beginning are original gelatin silver prints made by the artist herself. The majority originate from the holdings of the Diane Arbus Archive, a remarkable treasury of photographs, negatives, and papers gifted to The Metropolitan Museum of Art in 2007 by the artist’s daughters, Doon Arbus and Amy Arbus, while others are drawn from select private collections in the U.S. A box of ten photographs has been lent by the Victoria and Albert Museum. A visual parenthesis between two epochs: Gutenberg & Big Data. Contrasting old and new in simultaneous action, the work straddles centuries and contracts time. Charles Petillon fills the grand interior of the 19th Century Market Hall with 100,000 giant white balloons - forming a poetic, pulsating light installation. A large-scale projection relating to architecture, sound worlds and physical reasearch. Offering a totally immersive experience for visitors.